Basketwork too was practised from as early as Neolithic times. By plaiting natural fibres, such as the leaves of the date palm, some kinds of coarse grass and pliable plant stalks, craftsmen were able to weave many different types of basketware. The carpenters and joiners themselves used baskets of holdall type to carry their tools. 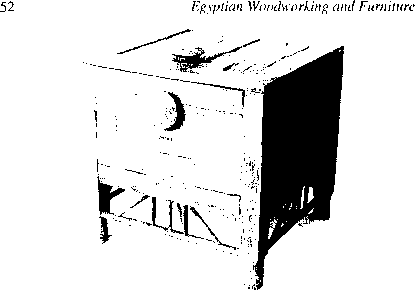 It had to be reinforced with cord ribs and had a carrying handle (figure 3).